What are nursing care plans? Why should nursing care plans be used in practice? How should nursing care plans be used in practice? It provides basic definitions and explanations which will be useful to those unfamiliar with nursing care plans. 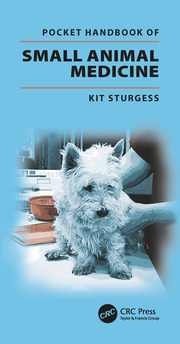 For those veterinary nurses and technicians who are using nursing care plans, the content stimulates debate and discussion, by covering some of the philosophical and theoretical aspects of nursing and drawing comparisons and contrasts between the veterinary and human nursing roles and contexts. There is a pressing need for veterinary nurses to establish themselves as professionals and develop their unique role within the veterinary care team. Nursing care plans are a core tool to support that development. 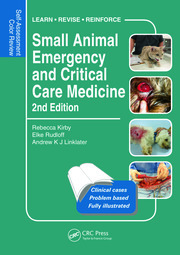 It is hoped that veterinary nurses may borrow tools from the pages of this book or use it as a resource design their unique care plans: either way, this practical guide will support the application of care planning, no matter the species of the animal kingdom for whom you are caring. Helen Ballantyne, after graduating with a degree in Pharmacology in 2002, qualified as a veterinary nurse in 2005. Combining her passions for veterinary nursing and travel, she began a 8-year stint as a locum nurse working nationally and internationally, developing experience in referral medicine and surgery, charity practice, emergency nursing and exotics. During this time, she spent five years on the British Veterinary Nursing Association (BVNA) council in a variety of roles, culminating in her being awarded honorary membership in 2016. In 2013, she qualified as a human-centred nurse taking up a position at the United Kingdom’s largest specialist cardiothoracic hospital, Papworth NHS Foundation Trust. After two years working in intensive care, she moved to the transplant team. Within this role, she supports the ongoing care of patients, pre and post-transplant. She is also a member of the National Organ Retrieval team, on call to facilitate the collection of organs from deceased donors. Helen remains a Registered Veterinary Nurse and has developed a strong interest in the principles of One Health, supporting collaborative practice between the medical and veterinary professions. She regularly lectures and writes about ideas and ways of working that may be shared between the professions to support clinical and professional practice. Nursing Care Plans are now becoming an essential part of nursing animals in our care. They are embedded into the syllabus of Veterinary Nursing students and this knowledge should be developed through a RVN’s career. Helen manages to take the important points for care plans and put them into a useable format that any veterinary nurse or student can learn from and develop their knowledge. I would absolutely recommend this book to anyone who wants to enhance their nursing skills and documentation with patients. 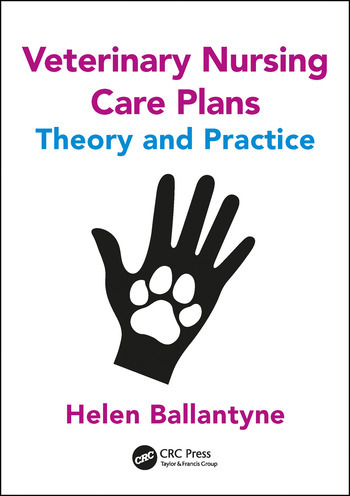 Helen Ballantyne has done an excellent job: the book is appropriately referenced, takes wonderful comparisons from human nursing, addresses common concerns and questions about nursing care plans, and above all makes the concept of these plans very relatable to the daily practice of veterinary nurses and technicians. Veterinary Nursing Care Plans: Theory and Practice does a thorough job in defining nursing care plans. 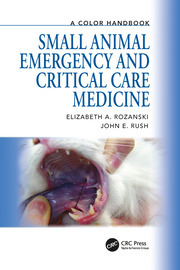 Although veterinary nursing plans are not commonly used in current practice in America, the author makes a convincing argument for their implementation. She highlights the importance of providing holistic care, improving client communication, promoting collaboration among the veterinary team, and instituting clinical governance and asserts that the use of veterinary nursing plans can facilitate those aims and increase the bottom line of a practice.